How securities lending has evolved in importance to fund managers - becoming a driver of alpha rather than just a means to cover operational costs - is a key finding of the DataLend Portfolio Beneficial Owners Survey 2017, run in conjunction with Funds Europe. 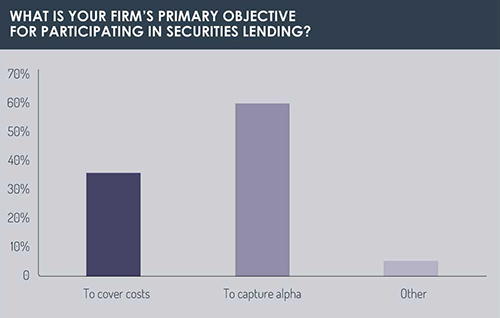 Close to two-thirds (59%) of the 41 beneficial owners who responded said that capturing alpha is their primary objective for participating in lending, with 36% saying it is to cover costs. 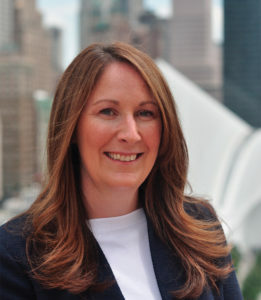 As Nancy Allen, Global Product Owner at DataLend, notes: "It is not wholly a surprise that such a significant number of beneficial owners now see securities lending as an alpha-generating activity, but it certainly quantifies the shift in mindset we are seeing. Beneficial owners are treating securities lending as an investment product." That shift aligns with a number of other current trends flagged by the survey. 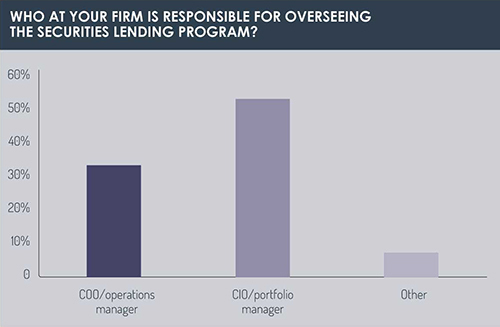 One relates to where responsibility for securities lending oversight resides within firms: the survey shows a clear shift towards the front office, in the shape of the chief investment officer or portfolio manager (56% of respondents), away from the chief operations officer or operations manager (36%). Moreover, while 39% of respondents still enrol all their assets in lending programs, 33% favour an asset-class based approach (equity vs fixed income) and 28% run intrinsic-only programs. "Beneficial owners are now performing more detailed analysis of their portfolios to identify opportunities to obtain the best value for their fund," says Allen. "To that end, we have seen heightened interest in our data from beneficial owners over the last couple of years. "More recently, they have been allocating resource and budget to data as lending shifts toward an alpha-generating investment product. Beneficial owners recognise that the incremental value they can obtain through data analysis more than covers the cost of that data." Asset managers are even incorporating securities lending data into their broader portfolio management strategy, she adds. Historically, beneficial owners have relied on their agents to provide data, typically focused on general market trends or comparative year-on-year performance, Allen says. "We are seeing a desire amongst beneficial owners for more detailed reporting. They want to better understand the revenue attribution of their portfolio as well as the key drivers of demand to ensure they are generating an optimal return. Beneficial owners are also using data to measure the performance of their portfolio relative to others in the market." To meet the demands of beneficial owners for consistent and standardised benchmarking, DataLend launched an overhauled performance measurement product in 2017. "In consultation with our beneficial owner and agent lender clients, we launched DataLend Portfolio exclusively for beneficial owners featuring standardised peer group analysis and benchmarking," says Allen. "A beneficial owner can be confident that the DataLend matching algorithm behind our peer group performance analysis is consistent across agents." The reporting burden on firms engaged in securities lending activity will only increase given the enhanced transparency requirements stipulated by the EU's incoming Securities Financing Transactions Regulation (SFTR). "SFTR will revolutionise the market, not least from a data perspective," notes Allen. "The standardised, enhanced and more timely data will provide beneficial owners and market participants with the detail they need to better manage their programs and perform more accurate revenue attribution analysis." The perception of corporate governance as the biggest risk in securities lending (41% of survey responses, with operational risk in second place with 36%) does not surprise Allen. "A decade or so ago the biggest perceived risk likely would have been counterparty risk, but beneficial owners are now looking at lending more holistically, and considering it within the context of their broader governance practices." Looking to the future, Allen expects the engagement she sees today from beneficial owners only going in one direction as lending moves more firmly into the investment arena. 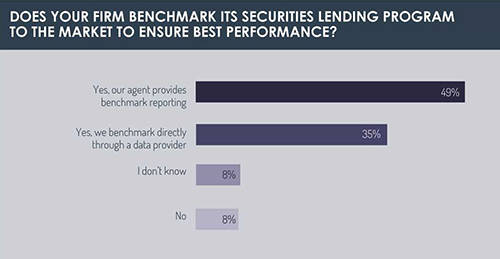 "As beneficial owners treat securities lending as an investment activity, they are leveraging data to help them structure their program guidelines, identify opportunities and provide standardised performance measurement. Beneficial owners are attracted to the independence that comes from third-party data, which allows them to perform consistent analysis across all their securities lending activity when utilising one or more agent lenders."